Over time, but especially since the opening of the internal market, the EU has “modernised” its immigration policy, specifically focussing on containing asylum migration, fighting irregular/illegal migration, and extending European migration policy onto the countries of origin and transit. Development aid is increasingly tied to agreements obligating these so-called third countries to take back “illegal” migrants and non-EU countries are increasingly being encouraged to control emigration from their countries more firmly. Furthermore, all non-EU countries on the edges of Europe are encouraged and financially sponsored to reinforce their border controls. The internal liberalisation of cross-border labour mobility and moral equality for “all” EU-citizens in the internal market is thus combined with transitory measures with regard to freedom of movement of the Union’s newest inhabitants and the tightening of control and management efforts at the new external borders. This renewed border regime has led to an increased closing, fortifying and policing of the borders of the European Union, even to the point where the attempts to remain unseen or escape from the hunt and chase by border guards leads to the death of would-be immigrants (see also Harris, 2002). The defence policy of the European Union is apparently willing to go as far as making the external border a literal deadline by criminalising the lives of refuges who are trying to find work or shelter in the European Union. Hideously, the deaths are implicitly seen as the “collateral damage” of the combat against illegal migrants. Estimates of deaths at the borders differ, but many would agree that it is somewhere in the thousands now. At the same time however, and in sharp contrast with this policy of closing the external border for immigrants from outside the EU, strategically selective political measures are being processed, focusing on the attraction of specific labour forces from outside the EU countries in order to bypass labour shortages in certain segments of the economy. It is this highly under-exposed policy contrast that we wish to analyse in more detail and spread light upon in this essay. We believe that the key term to connect and enlighten the above pictured increasingly paradoxical bifurcated EU-policy is desire. What we see is first of all a continuous and strong desire for a sovereign and autonomous control of what are seen as ‘redundant fortune seekers’. Hence, here the desire expresses itself as a wish to control the numbers of the ‘redundant’ and allegedly difficult to integrate ‘non-western’ immigrants/refugees in order to preserve the social cohesion within the (national) borders. Secondly, there is an increasing desire to selectively acquire non-EU citizens outside the domain of the EU in order to protect the own economic welfare in the future (Van Houtum, 2003). Often still implicit, but increasingly outspoken, this desire for more labour immigration exists because of population-, knowledge- and skill-specific shortages on the European labour markets. Although these two forms of desire are intrinsically contrasting and are incredibly difficult to sustain in combination, let alone manage, both desirability and undesirability of immigration are means to the same end, that is to protect the own internal comfort zone (Van Houtum, 2003). In general, the desire to control, to manage the borders of opening and closure could be considered as the inverse of fear. This fear has many faces. Sometimes it shows itself as a fear for the other, fear for the unknown, the stranger, and is associated with the fear to lose the self-defined social identity and the preciously constructed feeling to fit in a certain territorial community. In other instances, the face of fear is material, concern or worry to lose one’s job or the fear of decreasing national welfare and social funds. Despite the multiplicity of its faces, fear of immigrants is generally not grounded in a thorough knowledge of current EU-realities, such as its lagging market competitiveness vis-à-vis more efficient (the US, Japan) or cheaper (China, India) producers, its enlargement process and the geo-economic configuration of its new member states. As subsequent Eurobarometer reports demonstrate, advocates for as well as opponents to enlargement share the opinion that the accession of candidate member countries into the European Union will negatively affect their home country employment situation1. The majority of the survey respondents is however unable to name even three applicant member states. Information deficiencies about EU realities thereby seem to reinforce current migration discourses dominated by dissatisfaction about immigrant and minority integration in the recent past. In this way, mental difference is reproduced and sustained between “us Europeans” and “them, non-Europeans” (Van Houtum, 2003). an illustration of this is that in the process of EU-enlargement, almost all “old” member states of the EU have decided to install a post-entry transition phase or different kind of delaying measure for entry of low-rated labourers. The actual incorporation of future EU members into the Schengen zone has not materialised with accession, but will do so in subsequent stages through the making of a cordon sanitaire. Also known as “bufferzone politics”, the new bordermanagement takes place not only at border locations proper, but also at country-internal locations such as airports and asylum centres. A telling example of this bordermanagement relates to the highly controversial “detention centres” recently installed in the Netherlands, destined to efficiently conduct expelling procedures of rejected asylum seekers and caught undocumented migrant workers, many from EU-associated countries such as Romania, Bulgaria and even Ukraine. The fear of massive flows of east-west migrants after EU-enlargement, embedded in a broader context of “negative” migration discourses, fits well in this series of examples as the recurring argument here is that there is a general and continuous desire to confront the normal with the deviant and the self with the Other. The Other is “utilised” to compare with, associate with or to oppose to (see also Sibley, 2001, Derrida, 1973, Luhmann, 1985). Without others there is no need to have a social identity (see also Jenkins, 1996), for it is only in the awareness of imaginative Others that it becomes a relevant and contingent source of meaning and experience. This negative conception of social identity resonates with Bauman’s argument that “each order has its disorder and each purity its own dirties” and Sibley’s well-known notion of “purification of space” (Bauman, 1997, Sibley, 1995, 2001). By definition therefore, a border deconstructs a difference (the outside in and/or the inside out) but at the same time creates a difference (a new outside). Yet, the function of b/ordering is precisely that: the making of a divisive order in an assumed chaos. It is justified to neglect and be indifferent to what is beyond the border (Van Houtum and Van Naerssen, 2002). A spatial imaginative bordering process accordingly rests upon the redefinition of friends as natives (Bauman, 1990), among whom common assets of knowledge and wealth are constructed and distributed (Giddens, 1984). To strangers, residential rights are granted only if such an extension of rights is desirable (though desirability is often disguised as “feasibility”) (Bauman, 1990). The identity of strangers is therefore usually not their own choice (see also Bradley, 1997, Miller, 1995). They are excluded on the basis of their other or absent nationality (country of birth, colour, creed or culture) and must adjust to the new one if they wish to be included. Each society then, as Bauman famously argued, “produces its own kind of strangers” (Bauman, 1997, p.17). Depending on the circumstances in individual member states, this desire has found new socio-political outlets and performances, thereby often creating a new, normative vocabulary. In the present case, it could be argued, that the pressing and even disciplining discourse on the need to communify – expressed in terms like “common market”, “internal market”, “a borderless Europe” and “the need for European citizenship” – has invoked a certain state of “abnormality”, portrayed by people living outside the EU and non-EU refugees seeking shelter inside the Union. The consequence is an increased anxiety and fear of the Other, or in the words of Sibley a moral panic, which in his view concern contested spaces, liminal zones which hostile communities intend on eliminating by appropriating such spaces for themselves and excluding the offending “other” (Sibley, 1995, p. 39). Attempting to make such a categorical difference between EU- and non-EU-citizens, yet also wishing to stay politically correct, there has been continous attempts to appropriately define and term the non-insiders, the people from outside the EU. Many terms are used: strangers, aliens, foreigners, newcomers, (im)migrants, refugees and the Dutch term “allochtonen”2, to name but a few. As it defines a border between normality and deviance, the defining, making and exclusion of the Other is, as Sibley calls it, a “colonisation” of social life. The colonisation is a way of making difference (through the use of social space) beyond the border and of rejecting difference within the bordered. There is no shortage of normative stands on this exclusion of Others by the EU. Walzer (1983), for instance, provocatively states that communities should not be allowed to make a claim of territorial jurisdiction and rule over the people with whom they share a territory. He argues that, although admission and exclusion are at the core of communal independence, the rule of citizens over non-citizens and members over strangers is “an act of tyranny”. Seyla Benhabib, following Derrida’s essay on hospitality in her plea for “interactive universalism”, is also with him on this point (Derrida, 1973; Benhabib, 1996). For, she asks, what is the ethical difference between the right to leave a democratic country (since in democratic societies citizens are not prisoners) and the right for others to enter? Following this line of argument, the inhabitants of the “chaos” outside the insulating Union, are the new barbarians from a world outside, undesired and hence denied access. It is no wonder, then, that the European Union to many resembles a fortress (or a maze or sieve to others who regard the EU’s fortification efforts alongside its external borders as bound to fail due to lack of funds/equipment/competence) where unwelcoming and even hostile visualisations of closure abound (see also Kramsch et al., 2004). However, we would argue that this picture of Fortress Europe, besides its all too dramatic ring and its geographic incorrectness (it is the European Union one talks about, not Europe), is also increasingly untenable. The foregoing measures against unsolicited redundancy and people dying at the gates of the EU, a picture that would fit in the image of a fortress, sharply contrast with policy with regard to economically desirable, scarce forms of labour. Since many (western) European nations are increasingly coping with shortages of specific (academic) knowledge or skills, economic demand for foreign experts in possession of such knowledge is often made explicit in visa, work and residence permits granted to migrant workers from outside the EU. For this reason, politicians in several countries have started a discussion to introduce Green Cards (Germany), work permits (Great Britain), quota (Italy) and a speed-office (The Netherlands) enabling desired foreign employees to bypass bureaucratic immigration procedures. Top managers, engineers, PhD-students and talented soccer players from third countries can all be strategically selected by non-state actors such as large firms, universities and specialised employment agencies. In the case of new EU-member states, medium- and to a lesser extent low-skilled employees such as nurses and seasonal workers in agriculture or construction may occasionally be granted access as well. The bufferzone politics described above will not apply for this limited group of east-west migrants. In contrast with the “anti-redundancy” and “anti-burden” politics applying to the many, a few are seen as valuable “assets”, who are most welcome on the European internal market. Furthermore, a growing number of reports produced by supranational organisations suggest that a future softening of immigration and border policies will be unavoidable in present EU-member states, since the absolute decline of active work forces will only but continue in the next decades (see also Sassen, 2002). A further factor, until recently largely overlooked in community migration discourses, is that the European Commission has acknowledged the need for what is called replacement immigration in the not-so-distant future in its 2000 communication brief “On a Community Immigration Policy”, herewith once more strengthening its ambivalent views on migration (European Commission, 2000). Although recognised by individual member states, the unavoidable need for more immigration in the nearby future (if the sustainability of EU-market competitiveness is considered important) does not seem to alter much in short-sighted restrictive migration policies enforced at the moment. national boundaries do not act as barriers so much as mechanisms reproducing the system through the international division of labor. […] The enforcement of national borders contributes to the existence of a large number of countries in the form of a periphery and the designation of its workers as a labor reserve for global capital. Border enforcement is a mechanism facilitating the extraction of cheap labor by assigning criminal status to a segment of the working class – illegal immigrants. Foreign workers undermine a nation’s working class when the state renders foreigners socially and politically powerless. At the same time, border enforcement meets the demands of organised labor in the labor-receiving country insofar as it presumes to protect native workers. Yet selective enforcement of policies can circumvent general border policies and protect the interests of economic sectors relying on immigrant labor (Sassen, 1988, pp. 36-37). A wide range of interpretations and assessments exist of these developments, firmly rejected by some, cautiously welcomed by others. The general approach towards the associated notion of neo-liberalism, which stands for policy-making commitments to free trade, privatisation and deregulation, and has become the dominant political common sense of our time and as such also informs our migration policies, is largely negative. Originated in leftist anti-globalisation movements, the term neo-liberalism is almost synonymous with exploitation (of labour) (see for instance Sparke, 2002). Favell and Hansen, on the other hand, provocatively argue that market-driven strategic selectivity is irrevocably becoming a major determinant of migration flows in an enlarging European Union. In their view, “normative” Fortress Europe is quite open in “positivist” reality, both for economic migrants (through strategic selectivity) and asylum seekers (through highly inefficient and ambivalent asylum procedures) (Favell and Hansen, 2002). “The idea of Europe” would, accordingly, benefit greatly from the drawing of a much clearer line between economic migration and asylum. A similar, yet more fundamental assessment is provided by Slavoj Zizek, who, through his idea of “post-politics”, calls attention to the de-politicisation of European politics as he sees it (Zizek, 1998, see also Van Houtum and Van Naerssen, 2002). Post-politics goes beyond ideological differences between left and right to explain the irreversible expansion of global capitalism as consensus politics, wherein universal social issues such as transnational migration are reduced to mere administrative procedures (Zizek, 1998 and 2002). From an initiator of radical changes in the world order, politics turns into an end-user of manoeuvring space within existing parameters. In this respect, the Comaroffs go as far as to argue that by hiding its own ideological underpinnings in the dictates of economic efficiency and efficacy, politics portends its own death (Comaroff and Comaroff, 2002). So, what is left of the Fortress Europe rhetoric when selective access of desirable immigrants is considered? The border is economically closed for an overwhelming majority, yet open for some. To understand and better grasp these paradoxical border policies we have to ask ourselves what exactly is it then that we are trying to protect in the EU? In economic terms, protection principally concerns comfort, which is an (economic) interpretation and extension of the concept of “easiness”3. Thus, the interpretation of the border in economic terms focus on the degree of protection of the national economy, of “our national interest”. The latter interest is an issue of appropriating and justifying comfort. A territorial border from an economic point of view is hence a form of territorialisation of wealth stocks and potentials. The chances for strangers to be allowed to play a role in the national economic arena are higher when estimated national wealth and employment effects of them entering are net-positive. In its rather opportunistic search of inputs in order to maximise competitive advantage, the EU actively seals off specific domains of the economy for and at the expense of others. Probably the best-known example of this is the agricultural sector, which, in most of the member states, is unable to compete with efficient large-scale production elsewhere. Instead of letting “the market” prevail here, as neo-classical ideology would be in favour of, highly protectionist policies (import tariffs, export subsidies) prevent agricultural goods from outside from penetrating European Union space. This is quite similar, we would suggest, to the current migration policies in the enlarging European Union, which protect the comfort of job security in a highly inflexible labour market and in a number of highly uncompetitive economic sectors. By denying outsiders access to domestic labour markets, the EU protects its domestic workers through border enforcement and (expensive) work and residence permits. The sustenance of comfort, the amount of money and/or (the growth of) wealth gained is hence a form of collective self-interest of the community of human beings who call each other “members” of the EU. walled or fenced housing developments to which public access is restricted, often guarded using CCTV4 and/or security personnel, and usually characterised by legal agreements (tenancy or leasehold) which tie the residents to a common code of conduct (Blandy et al., 2003, p.2). Welcome to a place like no other / A unique island experience / Ocean views and tranquil waters / Luxury properties starting at $275,000 / The Palm’s horizons will forever change yours (www.palmsales.ca). Strawberry fields-like gated unities such as Palm Island are remarkably similar to the ideology of the European Union in its accommodation of wealth and its resistant, antagonistic and hostile practices to the mobile Other, especially the deprived ones such as fugitives, gypsies, immigrants, vagrants, and travellers (Urry, 2000). Much like a gated community, the EU is constructed to control, monitor and manage its borders and thereby safeguard those who are in from those who are out. New members of the European club are sought after if they are attractive to the upgrading or sustenance of welfare, others are preferably stopped at the gates. Another group of people, unidentified yet of considerable size, slips through the maze, often with the help of human traffickers: they are the undocumented who clean and cater the gated community. 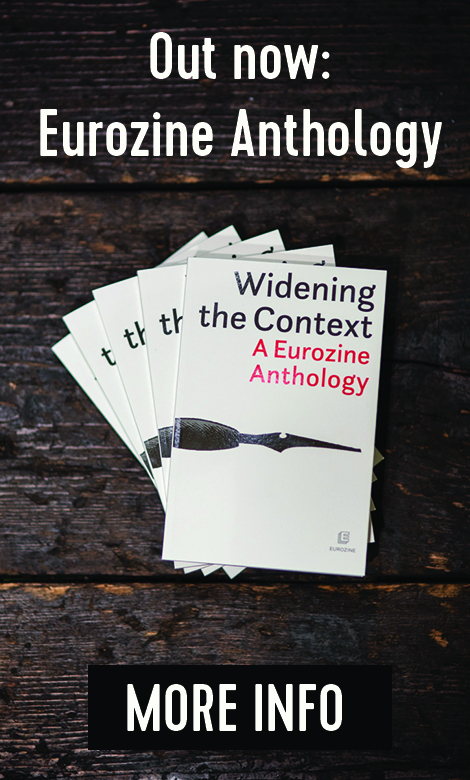 Looking at the present geo-political landscape in Europe, it can be ascertained that, notwithstanding the postmodern calls for and local celebrations of heterotopia, the making and marking of borders and thereby processes of social exclusion have not dissolved in the European Union as a whole. A wall of conservative solidification is being erected that is increasingly fierce and terrifying, yet it also contains neo-liberal mazes and conscious blindness for specific (illegal) labour forces that help to sustain the easiness and comfort. This neo-conservative b/ordering practice that increasingly fits the description of a gated community, reinforces capitalist state-centric logic to the disadvantage of attempts to transgress neo-liberal containment. Gated communities are a kind of never-neverland in the sense that the dream of purity and easiness is neverending – for by definition, human desire is perpetual. Furthermore, it is a kind of strawberry fields-politics inside and cherry-picking outside the EU – something which is increasingly untenable from a normative point of view. We would suggest that, when issues such as future EU-enlargement rounds remain controversial, or, as is the case with the Union’s “model of governance”, hardly discussed at all (see for instance Kramsch et al., 2004), decision-making in the field of immigration is ready for an attempt to turn the present European external bordermanagement upside-down. This does not mean a further intensification of migration policies in terms of administrative capacities and logistic support, but a return to a policy of solidarity that has an open eye for the people beyond the narrow strawberry fields of the European Union. This article is based on a paper presented at the Border Regions in Transition: Vth International Conference, Hungary, September 2003; new version for Eurozine. Bauman, Z. (1990), “Modernity and Ambivalence”, in M. Featherstone (Ed. ), Global Culture: Nationalism, Globalization and Modernity: A Theory, Culture & Society Special Issue, London: SAGE Publications, pp. 143-169. Bauman, Z. (1997), Postmodernity and its Discontents, Cambridge, Polity Press. Benhabib, S. (1996), “Toward a Deliberative Model of Democratic Legitimacy”, in S. Benhabib, Democracy and Difference: Contesting the Boundaries of the Political, Princeton: Princeton University Press, pp. 67-94. Blandy, S., Lister, D., Atkinson, R. and Flint, J. (2003), Gated Communities: A Systematic Review of the Research Evidence (Summary), ESRC Centre for Neighbourhood Research. Bradley, H. (1997), Fractured Identities: Changing Patterns of Inequality, Polity Press: Cambridge. Brown, D. (2002), “Storming the Fortress: The External Border Regime in an Enlarged Europe”, in H. Ingham and M. Ingham (Eds. ), EU Expansion to the East, Cheltenham: Edward Elgar, pp. 89-109. Comaroff Jean and Comaroff John (2002), “Millenium Capitalism: First Thoughts on a Second Coming”, Public Culture, 12 (2), pp. 291-344. Derrida, J. (1973), Différance, Speech and Phenomena and other Essays on Husserl’s Theory of Signs, trans. David B. Allison, Evanston, Illinois: Northwestern University Press. European Commission (2000), “On a Community Immigration Policy”, Communication from the Commission to the Council and the European Parliament, Brussels: CEC. European Commission (2001), “On the Conditions of Entry and Residence of Third-Country Nationals for the Purpose of Paid Employment and Self-Employed Economic Activities”, Proposal for a Council Directive, Brussels: CEC. European Commission (2002), “Integrating Migration Issues in the European Union’s Relations with Third Countries”, Communication from the Commission to the Council and the European Parliament, Brussels: CEC. Falah, G. and Newman, D. (1995), “The Spatial Manifestation of Threat – Israelis and Palestinians Seek a Good Border”, Political geography, 14: (8), pp. 689-706. Favell, A. and Hansen, R. (2002), “Markets against Politics: Migration, EU Enlargement and the Idea of Europe”, Journal of Ethnic and Migration Studies, 28 (4), pp. 581-601. Giddens, A. (1984), The Constitution of Society: Outline of the Theory of Structuration, Cambridge: Polity Press. Houtum, H. van (2003), “Borders of Comfort: Ambivalences in Spatial Economic Bordering Processes in and by the European Union”, Regional and Federal Studies, 12, pp. 37-58. Houtum, H. van and Naerssen, T. van (2002), “Bordering, Ordering and Othering”, Tijdschrift voor Economische en Sociale Geografie, 93 (2), pp. 125-136. Jenkins, R. (1996), Social Identity, Routlegde: London. Kramsch, O., Pijpers, R. Plug, R. and Houtum, H. van (2004), “Research on the Policy of the European Commission Towards the Re-bordering of the European Union”, research report prepared for EXLINEA (European Commission’s Fifth Framework Programme). Luhmann, N. (1985), Soziale Systeme, Grundriss einer Algemeiner Theorie, 2, Aufl. Frankfurt am Main. Sassen, S. (1988), The Mobility of Labor and Capital: A Study in International Investment and Labor Flow, Cambridge, Cambridge University Press. Sibley, D. (1995), Geographies of Exclusion: Society and Difference in the West, London: Routledge. Sibley, D. (2001), “The Binary City”, Urban Studies, 38 (2), pp. 239-250. Smith, M. (1996), “The European Union and a Changing Europe: Establishing the Boundaries of Order”, Journal of Common Market Studies, 34 (1), pp. 5-28. Wallace, C. (2002), “Opening and Closing Borders: Migration and Mobility in East-Central Europe”, Journal of Ethnic and Migration Studies, 28 (4), pp. 603-625. Walzer, M. (1983), Spheres of Justice, New York: Basic Books. Eurobarometer public opinion surveys are conducted each spring and autumn by the European Commission, consisting of identical sets of questions submitted to representative samples of the population aged fifteen years and over in each member state. The November 2002 edition shows that no less than 31 percent of respondents "for" enlargement expect unemployment numbers to worsen after EU-accession. 61 percent of respondents "against" enlargement shares this view. "Allochtonen" in Dutch refers to people born "elsewhere", literally "out of other soil". "Comfortare" in Latin means "to strengthen", "to ease". CCTV stands for "Closed Circuit Television".